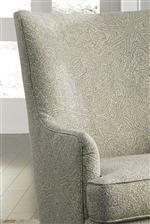 The cool tones and paisley-style fabric on this accent chair add classy style to any room in your home. 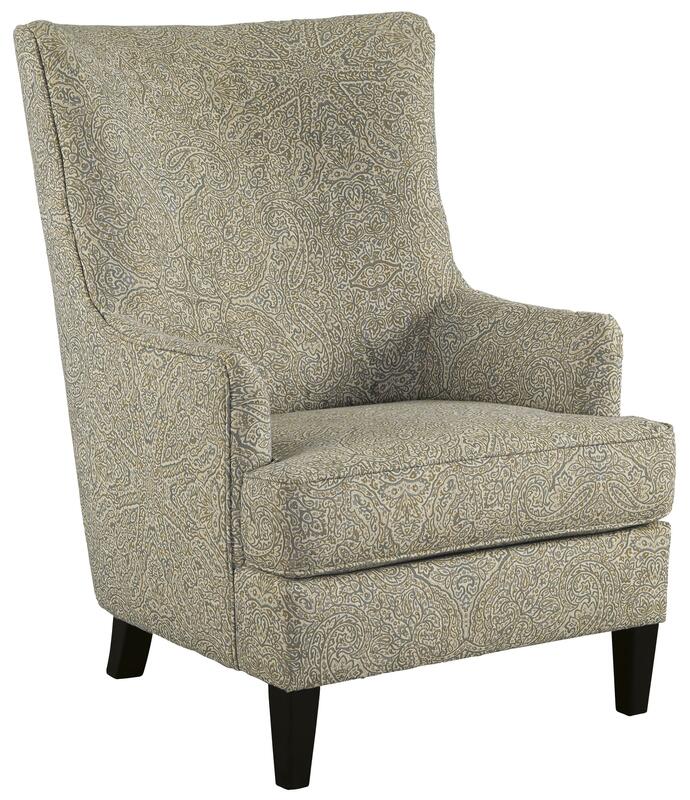 Reminiscent of a wing chair but with softer lines for an updated look, this accent chair has the cozy comfort and ample style that you have been searching for. The Kieran Transtional Accent Chair with Wing Back by Signature Design by Ashley at Miskelly Furniture in the Jackson, Pearl, Madison, Ridgeland, Flowood Mississippi area. Product availability may vary. Contact us for the most current availability on this product. The Kieran collection is a great option if you are looking for Traditional furniture in the Jackson, Pearl, Madison, Ridgeland, Flowood Mississippi area. Browse other items in the Kieran collection from Miskelly Furniture in the Jackson, Pearl, Madison, Ridgeland, Flowood Mississippi area.